Gender identity is unifying the United States in conversation even if we are polarized in our stance. Also polarizing is the understanding of how to care for children and adolescents who experience gender dysphoria. Included in this educational opportunity will be basic definitions, statistics, ethical concerns, and faith matters associated with gender dysphoria. Of greatest concern are the symptoms of distress that youth may experience or engage in when experiencing a discrepancy between their natal gender and gender identity. The main objective of this educational opportunity is to provide chaplains with language and information to accompany individuals and families who struggle with gender identity. 1. Engage in nonthreatening dialogue regarding Gender Dysphoria. 2. Understand the medical matters associated with treating youth experiencing Gender Dysphoria. 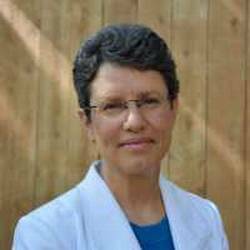 Reverend Beth Sonneville is a Staff Chaplain at Children?s Mercy in Kansas City, Missouri. She serves on the Children?s Mercy Gender Pathways Services team and provides spiritual support to patients and families in the gender clinic. She is a member of the World Professional Association for Transgender Health (WPATH).